We have compiled a collection of useful links at Twitter for driving schools and driving instructors. Hosted web templates used by hundreds of businesses around the world, QuickontheNet.com is a site builder where you can design and build your own website. Website templates with web hosting service. We offer a web design toolkit and site builder, as used by hundreds of small businesses all over the world. Learn how to add Twitter to your web page. Road Safety GB represents local authority road safety teams across the UK. Driving lessons and driving schools. Top tips to passing your driving test. Official twitter channel for the UK Department for Transport. 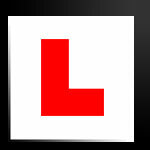 Online resource for learner drivers and driving instructors. Upmyroad.com - driving school directory. Helping learners find a driving school in their area. Search, compare and review driving instructors. Driving Test Success is the UK's leading software brand for learner drivers. This is the official Twitter feed by Focus Multimedia. Official Twitter channel of the Driving Standards Agency (DSA). Driving schools, learning to drive and driving lessons.